It’s fashionable to say education in America is broken. It’s much harder to do something about it. It became clear that Funding U was doing something about it from my first meeting with Jeannie Tarkenton, Funding U co-founder and visionary. It was a year ago at ATDC in Atlanta when she first shared the dream of fixing the broken college finance education system with us at Valor. We instantly appreciated some of the team’s early achievements—like a low cost of customer acquisition just 1/7th of the industry average. We took time to appreciate that the evolving market for alternatives to traditional FICO financial scoring is growing. Navient, Lending Tree, several banks, and financial services multinationals are aggregating demand and establishing a robust pattern of acquisitions. Atlanta is the right place to build this business. With local student retention leaders like Georgia State, recently called out by Bill Gates for incredible work in improving graduation rates, to tech leaders like Georgia Tech, where Funding U offices, this is the place that can solve for better student financing. Now is the right time. In the U.S., only 54% of students who start college can finish. How is that possible? To help explain, let me share a personal story. Not long ago, a close family member of mine graduated Valedictorian from a south Georgia high school. He was excited to attend Georgia Tech on a scholarship. But the next year, when his grades dipped below a B+ average, he lost his scholarship. His parents had some savings, but not enough for a few thousand in public school tuition for two more years. The next semester, instead of studying, he was sweeping parking lots at Burger King. Experiences like these are not limited to my family–they are the reality for literally millions of motivated, intelligent, working-class American students. Their high career aspirations challenge them to take the tough classes. However, if they can’t afford tuition and their family doesn’t have the savings, there’s no safety net. “At FundingU our mission is to ensure that students like these can get the last gap funds to graduate on time,” says Jeannie Tarkenton, co-founder. “It’s pretty simple math. Academic progress shows you will graduate. Your major and summer/school job record prove you are on track to get a good job. Your projected earnings indicate you will be able to pay back your loan.” At Funding U, the secret sauce is decoding responsible, conscientious students from a visible pattern of data. According to the College Board, there were $107 billion in new student loans just in the academic year. Student loans represented 53% of all non-revolving loans in America, including the massive $1.1 trillion in federal student loans. The market is growing steadily. 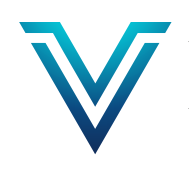 One of the things Valor likes best about Funding U’s plan is rather than taking on the whole colossal student loan market, Funding U is focusing exclusively on the responsible, full-time student with a strong academic track record who is filling a small gap between what they can contribute and what it costs to stay in school full time. These are small loans–typically less than $10,000. This small niche of self-starters self-renews with millions of new students every year. Collectively, they represent $30B annually of the larger student loan world. Headquartered in Atlanta, Funding U is earning a reputation as the front-runner. Under the direction of CTO Peter DeWeese, who worked at Capital One Wallet and Naviance Student before joining Funding U, the platform is designed to protect a quality students’ access to affordable debt and also the returns lenders want to make on that capital loaned to conscientious students. The market response to Funding U’s leading model triggered Valor ’s hypergrowth investing thesis. Funding U saw a 1078% increase in new users and a 1623% growth in pre-qualified loan volume through their platform in just the last year. Please join ValorVC in celebrating Funding U’s journey. It’s an adventure and a significant opportunity our partnership is proud to support. Previous PostWhich Cities Are Best Serving Venture Capital Investors? © 2019 Valor Ventures. Headquartered in Atlanta, Georgia.